How do restaurant star ratings impact the ability of a restaurant to attract diners? Before we share what we found, let us explain why we chose a 3-star rating as the basis of the survey question. This can be interpreted in a number of ways. But the bottom line is that most restaurants won’t have anything to worry about. However, if you’re managing a business that is in the minority as far as overall ratings go, our survey question is an extremely relevant one. According to findings from our survey, 33 percent of restaurant-goers stated that they would not eat at a restaurant with an average 3-star review on online review websites such as Yelp, Google, and Facebook. Just like in every other industry, online customer reviews of restaurants can significantly influence consumer behavior and purchase decisions. Star ratings, in particular, serve as a convenient and accessible way for consumers to determine whether or not they will choose one restaurant over another. Here are some other interesting findings on restaurant star ratings, based on industry research and ReviewTrackers data. According to ReviewTrackers, restaurant guests are more likely to leave high ratings on Facebook than on any other review site. Furthermore, 80 percent of customers are likely to use a rating filter when searching for a restaurant. ReviewTrackers research also found that customers are 43 percent likely to leave a review after a positive experience at a restaurant. On the other hand, after a negative experience, customers are 46.7 percent likely to leave a review. According to a Berkeley study, a half-star rating improvement on Yelp makes it 30 to 49 percent more likely that a restaurant will sell out seats during its peak hours. Meanwhile, a Harvard Business School study found that a one-star increase in a restaurant’s Yelp rating can result in as much as a 9 percent increase in revenue. Develop a review management and review request program. These statistics highlight the need for restaurateurs to develop an effective program for managing online reviews. After all, more and better reviews = higher search rankings = better online reputation. So reach out to your customers. Conduct surveys. Make review requests. Send emails, then follow up on those emails. According to research, 4 in 5 will, in fact, leave reviews after being prompted by the business. Stay responsive to guest feedback. Businesses that respond to reviews tend, in time, to get higher ratings than those that don’t. According to researchers, overall ratings increase by 0.12 stars when businesses start responding to reviews. They also begin to receive 12 percent more reviews. Analyze your reviews. The smartest businesses look beyond restaurant star ratings and pay close attention to the text content of their reviews. Already, many industry professionals are investing in tools like word clouds, sentiment analysis, and review management software in order to generate actionable insights about the dining experience, as well as to leverage customer feedback to drive sales and performance. After all, people will have varying definitions of what counts as a five-star or one-star restaurant. By analyzing in greater detail the information that comes directly from your customers, your restaurant can make smarter marketing decisions and deliver better experiences. This seems a bit scary until you realize that most reviews are pretty positive. I’m pretty sure that 4 or 5 stars makes up more than half of all reviews. I like hanging out in a local pub which has a hole in ceiling and worst toilet ever. It could not have more than 2 stars on Yelp, but I still love to have drink there. Good reviews usually attract stuck-up people and soon a local working-class watering hole could turn into fancy cafe. Having less than 3 stars means you have more dissatisfied than satisfied customers. Of course I wouldn’t eat there! 67% of restaurants have an average 4-5 star reviews, but think many of those reviews are fake. A restaurant with 3 star average review is the perfect place to dine. They are probably aware of their rating and they will treat every new customer as they are celebrities, so the customers can help them fight their way back to 4-5 stars. In such restaurants you will have the best service, best food and even some discounts. The 3 star restaurants are my favorite dining spots. Maybe it would be better to change star-based system to: Great! (5 stars), Acceptable (4 stars) and Avoid (1 star). What are 2 or 3 stars? If it was not-so-great then give it Acceptable (4 stars). Everything under this standard is unacceptable. I can be super cautious when it comes to picking out a new restaurant. 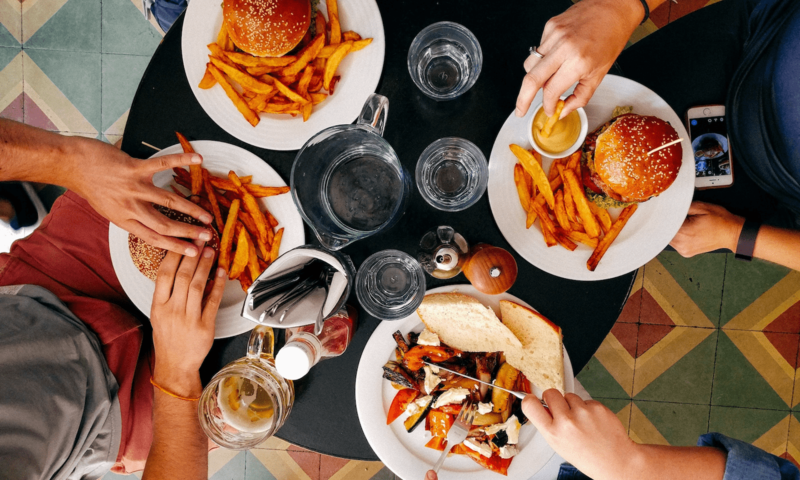 Where you eat can directly affect your health and you want to make sure you are going somewhere that not only has good food but is also clean and friendly. That is why it is so important that your restaurant have a strong online presence with the ability to draw customers in.